When the Oakland Raiders brought head coach Jon Gruden out of retirement, it was with the promise of bringing a Super Bowl back to the city. However, it appears Gruden has tempered expectations a bit. 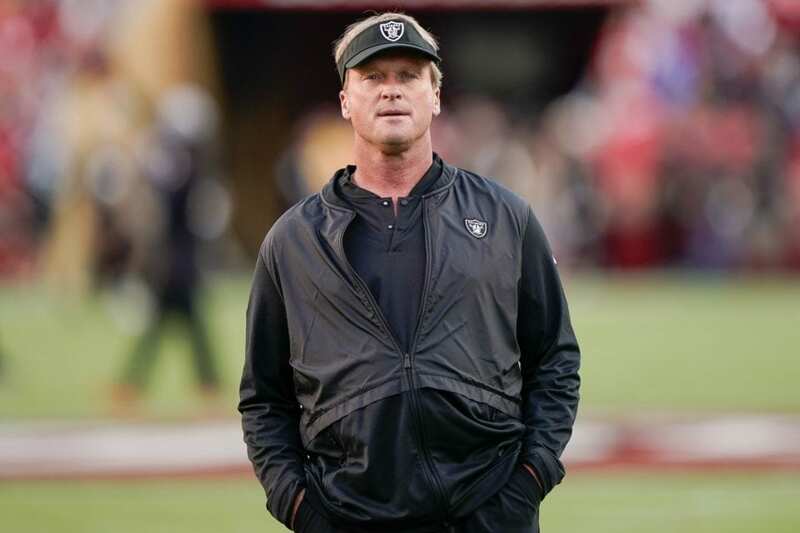 Gruden’s comments hardly come as any surprise. The writing had been on the wall the moment they traded away Khalil Mack. With all their Pro Bowl talent gone, they have already essentially committed to cleaning house and starting fresh. It seems the move to Las Vegas is part of the process. Any time a team goes into rebuild mode, it takes several years to become competitive again. Unfortunately, time is not on Oakland’s side with the looming move to Las Vegas. The Raiders have already started accepting deposits for season tickets in the new stadium in 2020. It is safe to assume that this team will still be a work in progress by then. Although Gruden’s comments are hardly inspiring, there is still some truth to them. The Raiders are no strangers to relocation after doing it multiple times throughout their franchise’s history. Despite their roots being in Oakland, they built a strong fan base in Los Angeles thanks to their brief stint from playing there. That said, it is difficult to imagine the move to Las Vegas having any serious repercussions on their fan base.